This lotion also contains argan oil, which delivers essential fatty acids and vitamin E to nourish and moisturize your skin naturally. 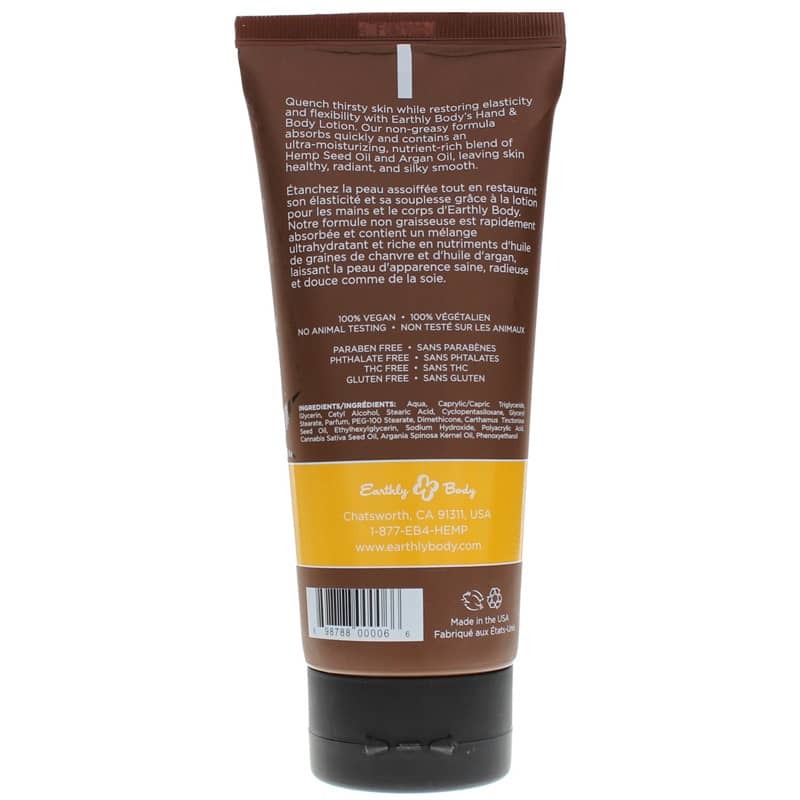 It is free of parabens, phthalate, THC and gluten. 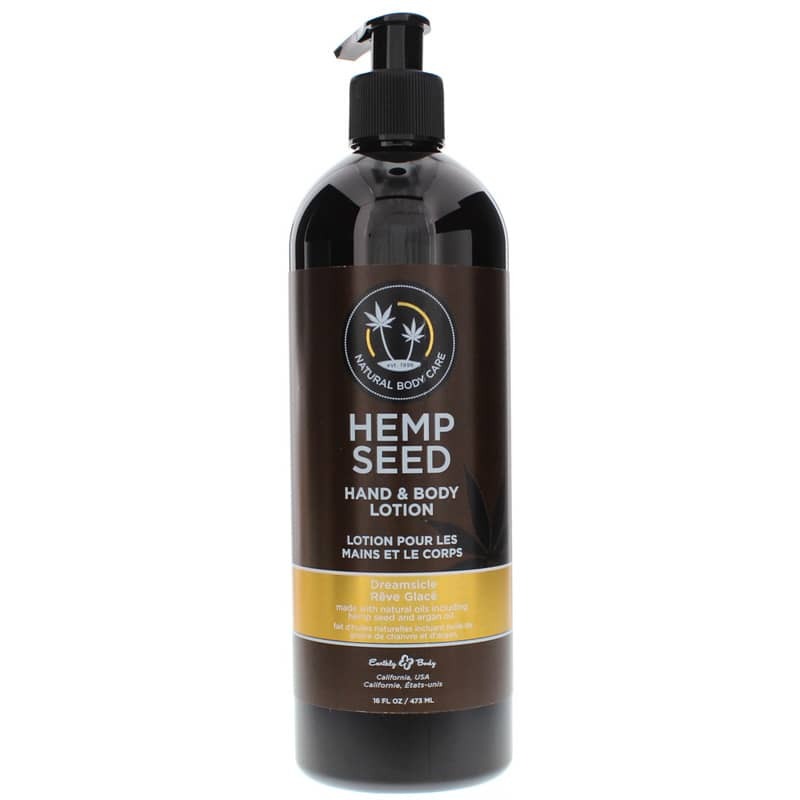 If you're looking for a natural skin care product that may support healthy aging and smooth glowing skin, consider Earthly Body's Hemp Seed Hand & Body Lotion. Aqua, Caprylic/Capric Triglyceride, Glycerin, Cetyl Alcohol, Stearic Acid, Cyclopentasiloxane, Glyceryl Stearate, Parfum, PEG-100 Stearate, Dimethicone Carthamus Tinctorious Oil, Ethylhexylglycerin, Sodium Hydroxide, Polyacrylic Acid, Cannabis Sativa (Hemp) Seed Oil, Argania Spinosa Kernel Oil, Phenoxyethanol. Smells amazing! Love this product! Wonderful moisturizer and smell GREAT!! This cream has a wonderful scent - coconut, lime, verbena, with a touch of saltiness. It's absorbs quickly and is moisturising without being greasy, leaving your skin feeling soft and refreshed. I'm also glad it doesn't irritate/sting my dry winter hands like some lotions can. The smell is fantastic ! I bought this for a friend who likes the smell Of Nag Champra and I have to say I wanted to keep it ! My friend reported that the smell is pure Nag Champra and it goes a long way and lasts all day and is good moisturiser . Very nice lotion but I didn't care for the smell. The name, Skinny Dip, didn't really give any indication what the smell would be like. I didn't really care for it. My wife loves it and it has a romantic allure. No complaints from a turned on husband. Noticed a difference in how hands stay hydrated and not dry after using the product. 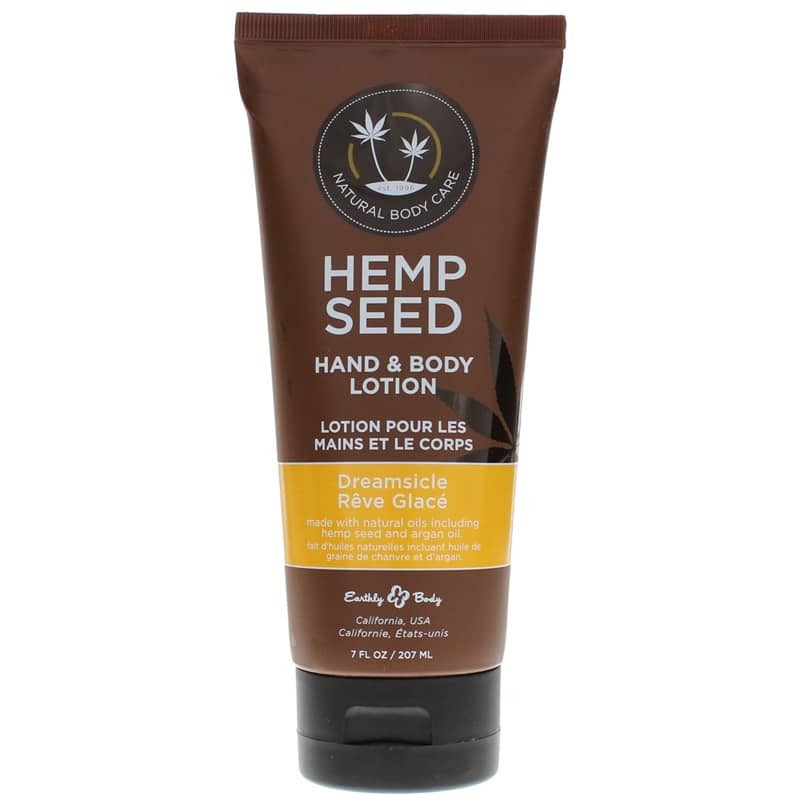 I have purchased the Hemp Seed Hand and Body Lotion Nag Champa 2 times now and I absolutely love this product. Very quick delivery and amazing product. I am getting ready to place another order. I definitely recommend.